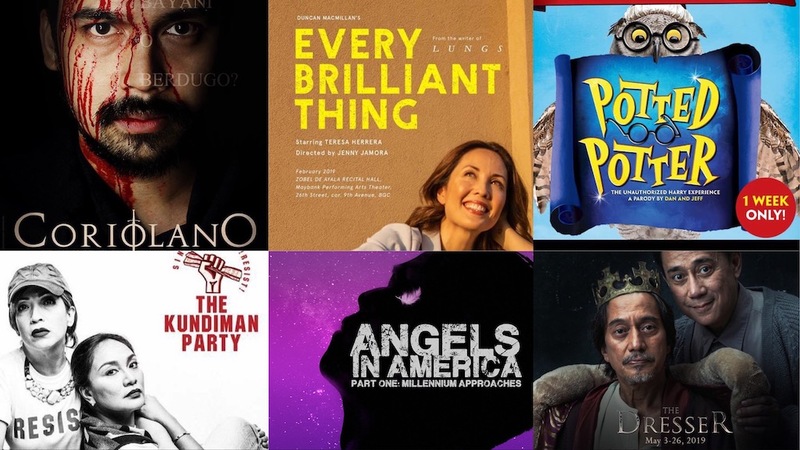 A Shakespeare rarity, a wizarding comedy, a powerful work exploring the AIDS pandemic, and returning favorites: these are just some of the plays theater fans can look forward to seeing this year. How many are you planning to watch? 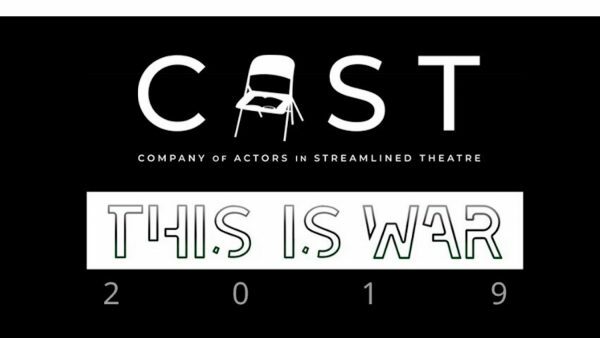 First staged reading: C.A.S.T. co-founder Sarah Facuri, Bituin Escalante, Gabby Padilla, and Jenny Jamora. Directed by Jill Peña and Maronne Cruz. Second staged reading: Luis Marcelo, Tarek El Tayech, C.A.S.T. co-founder Maronne Cruz, Jeremy Domingo, Kiefer Sison, and Diego Aranda. Directed by Nelsito Gomez and Sarah Facuri. Third staged reading: Jaime del Mundo, Roselyn Perez, Tarek El Tayech, Dean Daniel Rosen, Franco Ramos, Justine Peña, and C.A.S.T. co-founder Nelsito Gomez. Directed by Mako Alonso and Jill Peña. Fourth staged reading: Audie Gemora, Tami Monsod, C.A.S.T. co-founder Mako Alonso, Mikkie Bradshaw-Volante, George Schulze, Cris Villonco, Robie Zialcita, Bym Buhain, Elliot Miranda, and Sophie Bradshaw-Volante. Directed by Wanggo Gallaga and Nelsito Gomez. Play # 1 – January 13, 2019. 2pm and 7pm. Play #2 – January 20, 2019. 2pm and 7pm. Play #3 – January 27, 2019. 2pm and 7pm. Play #4 – February 3, 2019. 2pm and 7pm. 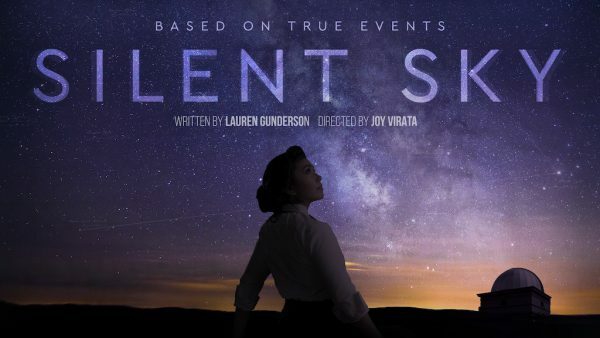 Silent Sky is a poetic retelling of the life of Henrietta Leavitt, one of the women known as the ‘Harvard Computers’. Leavitt and the Harvard Computers were hired by the Harvard Observatory in the 1900s to analyze and catalogue every star in the entire sky. Along with Annie Cannon and Williamina Fleming, Leavitt blazed a trail for women in the male-dominated science of astronomy, and even discovered a mathematical pattern that would enable the understanding of the size of the universe. 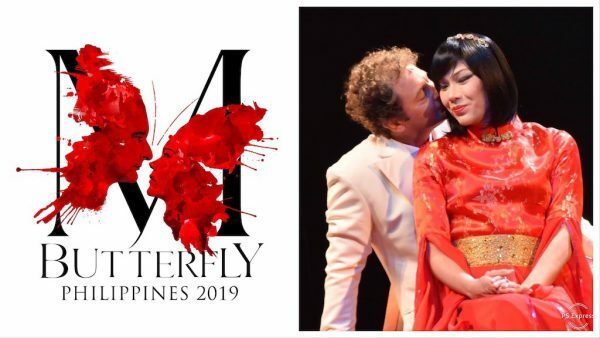 With a book by Lauren Gunderson and direction by Joy Virata, this restaging of Repertory Philippines’ production is set to run from February 1-10, 2019 at the Carlos P. Romulo Auditorium, RCBC Plaza, Makati. The original cast of Cathy Azanza-Dy, Caisa Borromeo, Naths Everett, and Topper Fabregas (who will also act as assistant director) will be back to reprise their roles. This production also marks the return to the stage of actor, screenwriter, and producer Bibeth Orteza, who will take on the role of Cannon. The artistic team composed of Joey Mendoza (production design), John Batalla (lighting design), and Jethro Joaquin (sound design) will also return. Teresa Herrera returns to the theater in this one-woman play that tackles the important topic of mental health. It is told from the point of view of an individual trying to list all the positive things to live for in light of their mother’s chronic depression. In this show written by Duncan Macmillan, The Sandbox Collective breaks away from tradition by featuring a woman in the typically male lead role. It also furthers the theme of women empowerment with Jenny Jamora as director. The production team also includes John Batalla (lighting design), Marta Lovina (production design), Arvy Dimaculangan (sound design), Marcel David (stage manager), and Pauline Gaerlan (production manager), with Toff de Venecia as Artistic Director. Kakki Teodoro serves as associate producer and will alternate with Herrera in certain performances. The play will be staged in the round, with the lead character regularly breaking the fourth wall. And staying true to the goal of including the audience, there will also be post-show discussions facilitated by mental health practitioners and psychiatrists. 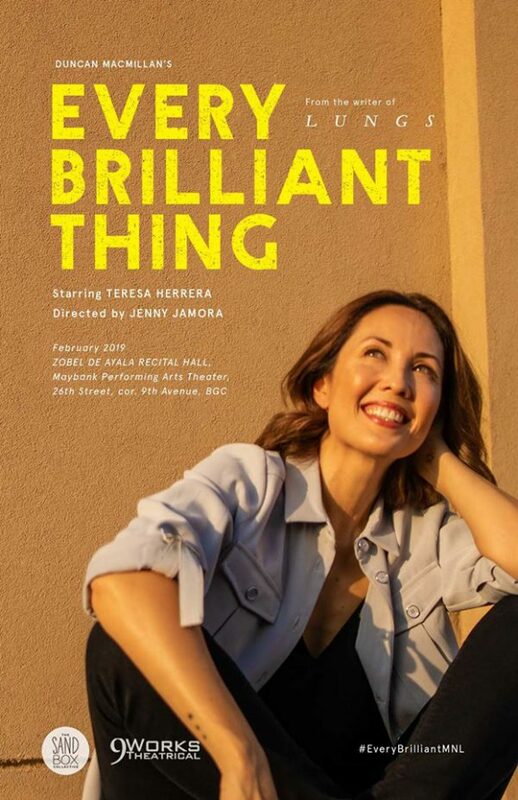 Every Brilliant Thing will run from February 2-24, Fridays to Sundays, at the Zobel de Ayala Recital Hall of the Maybank Performing Arts Theater. Teodoro will be playing the role for the February 9 and 23, 3pm shows. 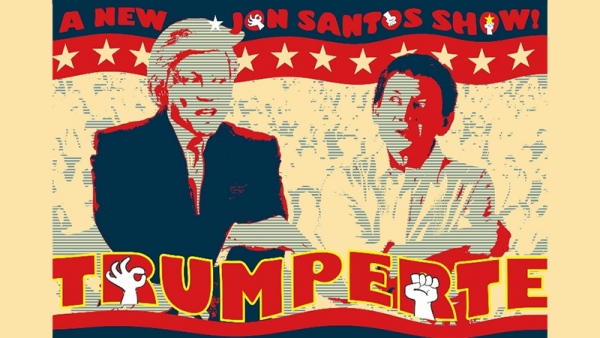 Jon Santos’ satirical comedy show, coined from the names of the two world leaders dominating the daily news, returns for another run on February 13. Santos will dish out his impressions of Rodrigo Duterte, Donald Trump, and other political figures. The show was staged several times last year, at Teatrino in Greenhills and recently at the PETA Theater Center. Written by Jon Santos, along with Enrico Santos and Joel Mercado, and with direction by Michael Williams, this year’s restaging will be at the Newport Performing Arts Theater in Resorts World Manila. Written by William Shakespeare and translated by Guelan Luarca, Coriolano is one of the rarely staged Shakespeare tragedies. It tells the story of the rise and fall of the legendary Roman soldier Caius Marcius Coriolanus who succeeds in his military exploits but who is eventually deposed as a political leader. 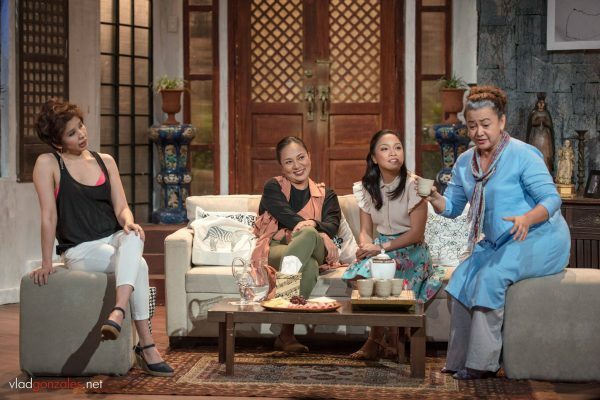 The final play for Tanghalang Pilipino’s 32nd season features Tanghalang Pilipino Actors Company senior actor Marco Viaña, as well as veteran actors Sherry Lara, Frances Makil Ignacio, and Brian Sy. Carlos Siguion-Reyna is set to direct. 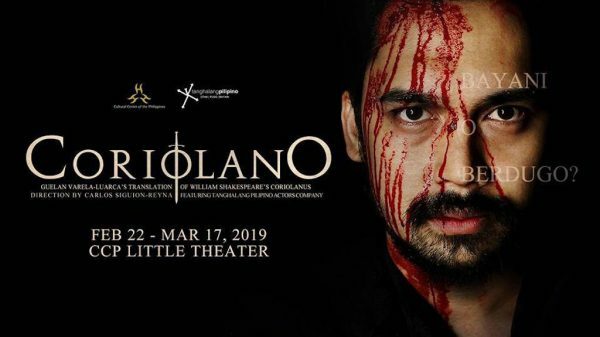 It will run at the CCP Little Theater from February 22 – March 17, 2019. This comedic take on the Harry Potter books started out as a five-minute entertainment for fans waiting for the release of Half-Blood Prince (the sixth book in the series) at a London bookshop. It has since evolved into a full-length stage production, with an Olivier Award nomination and an international tour to boot. 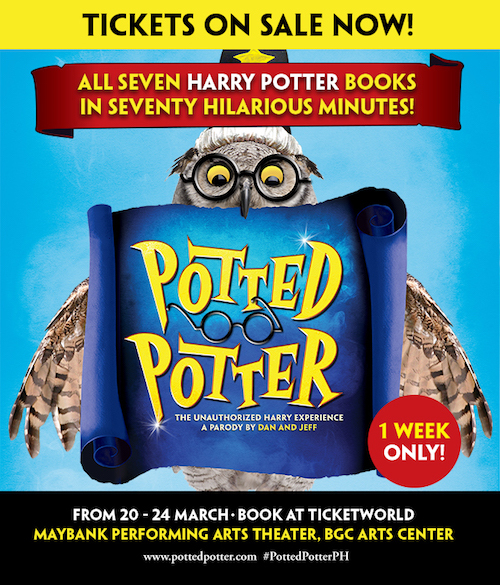 The comedy condenses all seven books into seventy minutes of entertainment that Potterheads and the whole family will enjoy. It features characters from the books, a fire-breathing dragon, brilliant songs, and a real-life Quidditch game. It’s been staged in Manila three times before, in 2012, 2013, and 2014. Now it’s back for a limited run from March 20-24 at the Maybank Performing Arts Theater, BGC Arts Center. 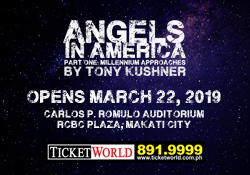 Atlantis Theatrical celebrates its milestone 20th anniversary with a staging of Angels in America: Millenium Approaches, Part One of the groundbreaking and complex two-part Tony Kushner play. Set in 1980s New York, it features the intersecting storylines of a gay man abandoned by his lover after learning he has contracted AIDS, a closeted gay man and his drug-addicted wife, a McCarthyist lawyer who denies having AIDS, and an ex-drag queen who works as a nurse. Angels in America is the most Tony-nominated play in Broadway history and has won ten Tony Awards including Best Play and Best Revival of a Play. Bobby Garcia will direct Atlantis’ production, after first directing it 25 years ago. The cast includes Art Acuña as Roy Cohn, Topper Fabregas as Prior Walter, Angeli Bayani as Harper Pitt, Nelsito Gomez as Louis Ironson, Markki Stroem as Joe Pitt, Cherie Gil as Hannah Pitt, Andoy Ranay as Belize, and Pinky Amador as The Angel. The entire cast will also be playing multiple roles throughout the show. With set design by Faust Peneyra, lighting design by JonJon Villareal, projection design by GA Fallarme, costume design by Odelon Simpao (with Rajo Laurel as designer for the Angel costume), sound design by Glendfford Malimban, and hair and make up design by Johann dela Fuente, the show will run from March 22- April 7, 2019 at the Carlos P. Romulo Auditorium. 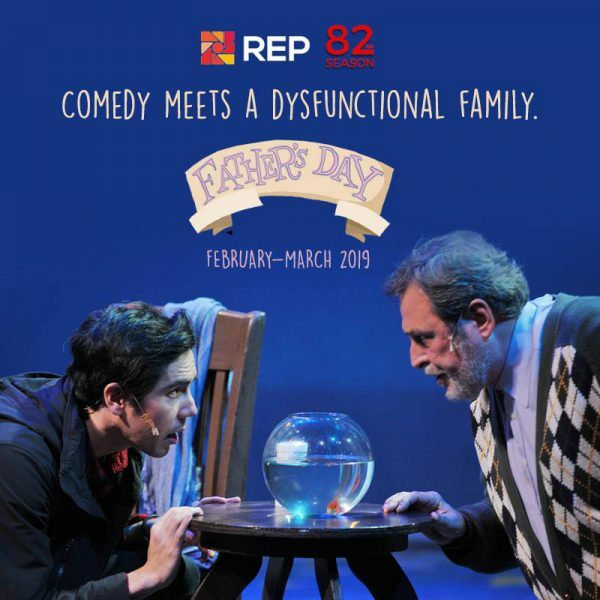 Part of Repertory Philippines’ 82nd season, this play written by Eric Chappell is a comedic exploration of the awkward reunion between a divorced father and his estranged son. Baby Barredo returns to direct this production starring Rep veteran Miguel Faustmann and newcomer Andres Borromeo. Joining Faustmann and Borromeo are Liesl Batucan, Becca Coates, and Rachel Coates. Father’s Day will run from March 22 to April 14, 2019 at Onstage Theater in Greenbelt, Makati. Another Rep offering and their second play of the season is the Ronald Harwood-written British Drama The Dresser. Teroy Guzman plays a brilliant but tormented actor, with Audie Gemora as his loyal dresser. Rounding out the cast are Tami Monsod, Jeremy Domingo, Robbie Guevara, and Justine Narciso. Loy Arcenas, who directed the movie adaptation of the musical Ang Larawan, will make his debut as director for Repertory. 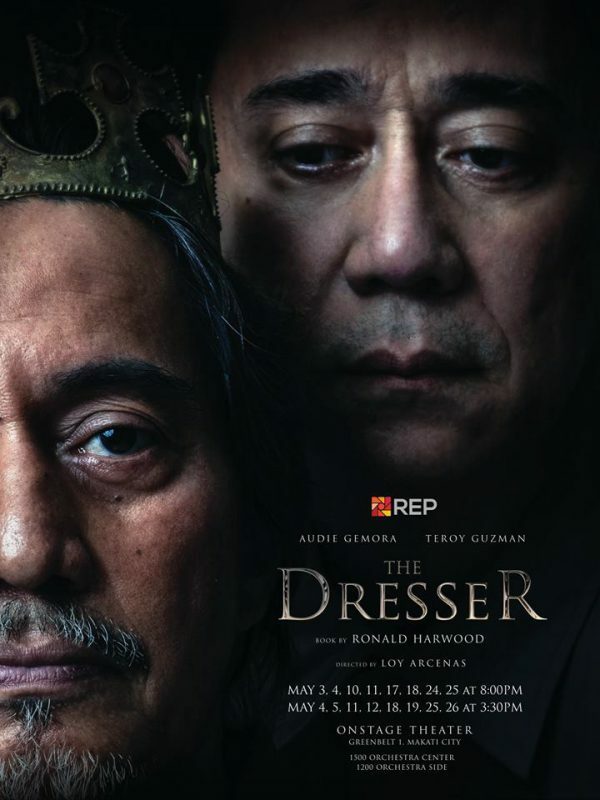 The Dresser will run at Onstage Theater in Greenbelt from May 3 to May 26, 2019. The artistic team includes Kanakan-Balintagos (Director), Joed Balsamo (Composer), Eric Pineda (Costume Design), Ohm David (Set Design), Jethro Joaquin (Sound Design), John Batalla (Lights), and Gery Penaso (Make-up Designer for Song Liling). Tickets can be purchased at SM Tickets. An exploration of creative protest, The Kundiman Party revolves around retired singer Maestra Adela Dolores who, with the young, tech-savvy activist Bobby, embarks on a nationalistic yet eccentric crusade. With music by Floy Quintos and direction by Dexter M. Santos, the original staging by the UP Playwrights’ Theatre boasted of a cast led by Shamaine Centenera-Buencamino as Adela and Kalil Almonte as Bobby, with powerhouse actors Frances Makil-Ignacio, Stella Cañete-Mendoza, Missy Maramara, Jenny Jamora, Arya Herrera, and Teetin Villanueva. Teroy Guzman took on the critical role of Bobby’s estranged father, Senator Juancho Valderama. The returning cast for the PETA staging has yet to be announced. Originally staged in May 2018, the production will run at the PETA Theater Center on these dates: May 24-26, May 31, June 1-2, 2019. Katsuri is Bibeth Orteza’s Hiligaynon adaptation of the John Steinbeck novella Of Mice and Men. It’s a tragic tale of friendship and lost dreams, and is considered one of Steinbeck’s most important works. Tanghalang Pilipino’s production is scheduled to run in October 2019. More information on the cast and venue will be available soon. Loves museums, libraries, and coffee shops. Pet mama to a fluffy baby boy. In her spare time she likes to sing entire musicals in her head. You can find her other writings at mister beebop.